Geologic time is palpable at Kehl Lake. This low, marshy area around a small, shallow lake, like a sheet cake that hasn’t cooked in the middle, is a reminder of the days when the waters of Lake Nipissing covered the land after the last glacier receded about 4,500 years ago. Kehl Lake is an embayment. This means that it was a bay of Lake Michigan for hundreds of years before finally becoming an inland lake connected to the big lake by a small stream. A few more centuries and the stream itself began to blend into the wetlands. But you can still see the outlines of the stream and feel that slow, almost eerie, incremental but inevitable passage of time and changes to the land. Lake Leelanau and Glen Lake are also inland lakes that were once bays of Lake Michigan; those lakes still have viable connecting waterways. Kehl Lake is small compared to these other lakes but is similar in formation. And like those other bays of Lake Michigan that became inland lakes, it would have been a natural campsite for Native Americans. An easy stop on their lake route, first with a canoe right up the stream and when the stream became narrower and, in the case of Kehl Lake, disappeared, then with a portage. The Indian name for Kehl Lake was Midassagan, meaning “legging:” an article of clothing made of deerskin. The name may have been given to the lake because it was here that the Native American women could soak the deerskins for the leggings. The shape of the lake is also that of a legging. On the shore stands a quite large, old pine marker tree, the kind of trees Native Americans bent to mark a spot. The tree is now falling into decay but is still visibly a marker tree. Oral history indicates that the site was used as recently as the 1930s for Indian gatherings. Andrew Blackbird, the last Ottawa chief of Harbor Springs, born in 1815, described his family’s biannual coastal journey every year from the northern part of Michigan to the southern by canoe in the fall and then back again in the spring, with several stops along the way. Various sites offered fishing or plant-gathering opportunities and presumably a site like Kehl Lake would have offered both. The sheer number of native plants used for medicine, crafts, or charms, suggests that some of them may have been brought there and nurtured by prehistoric botanists. Today fishermen can catch smallmouth bass and northern pike in the lake. To picture Kehl Lake, first imagine the Leelanau Peninsula, a triangle with a scribbly shore, about 30 miles wide at its base and about 35 miles up each side to the tip beyond Northport where Kehl Lake is. During the Nippising epoch, when Lake Michigan’s water level was higher, much of the northern one-third of the peninsula was a sandbar under water. Kehl Lake would have been a depression in the sandbar. Unlike those other bays of Lake Michigan that became inland lakes, Kehl Lake is observable in its entirety because it has escaped development. Because of the water table being so high there, even now, the trees were relatively small and undesirable when the peninsula was first timbered off in the 1870s, and so for that reason, it was left alone. Kehl Lake is about four miles north of the village of Northport. If you visit in the fall and spring, you’ll have a front row seat from which to observe birds migrating in the north-south flyway. In 1982 the Michigan Nature Conservancy compiled a species list of more than 200 birds here, including the hermit thrush and the common loon. The hermit thrush, often called the American nightingale, is, true to its name, reclusive; but if you are quiet in the woods, you may be fortunate enough to hear those liquid, dulcet tones. The loon, an ancient species dating back 20 million years, has a haunting call that in the mists of early morning, out over the water, seems a cry from another world. Their sleek, black-and-white checked backs and striped bands at the neck make them look like nattily dressed Wall Street bankers. The Wilson Journal of Ornithology reports that loons can dive up to 200 feet: their heart rate slows so that they can conserve oxygen. 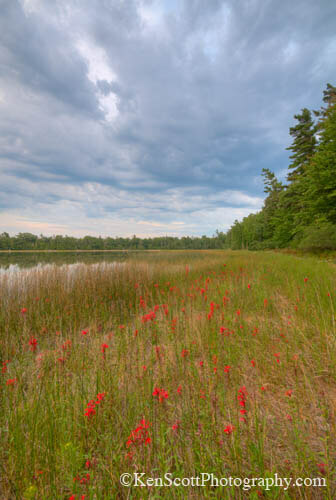 The three-foot-high, breath-takingly beautiful groupings of cardinal flowers, an uncommon sight on the Leelanau Peninsula in the last century because they are too sensitive to modern disruption to survive, can still be found in abundance at Kehl Lake in mid-summer. Other now-rare plants, such as the pink lady’s slipper and bloodroot, bloom in the spring. Mushroom hunter Curt Cluckey of Glen Arbor says the edible boletus mushrooms grow here under the spruce trees. The tracks of bear and bobcat have been seen here. In November 2016, there was a beaver lodge on the south shore of the lake. Kehl Lake takes its present name from the first European immigrants who homesteaded here in 1849. John Kehl and his wife Elizabeth (Bosch) Kehl, both the offspring of German immigrants, came from Buffalo, New York. John’s father Albert had been a bugle boy in Napoleon’s Army. Like many European immigrants in the early 1800s, the Kehl family came to America in order to escape conscription in the Napoleonic Wars in which an estimated six million people died, half of them soldiers and about half of them civilians. Old pear and apple trees from the Kehl homestead can be found at the beginning of the trail out to the lake. The trail is easy walking and not long, maybe a thousand feet. Kayaking is allowed. Dogs are allowed but must be kept on a leash since the loons and some of the other birds have their nests on the ground. The presence of loons at Kehl Lake is a testament to the purity of the water since loons dive for their prey and can’t see to do that in dirty water. The 200 acres of wetlands surrounding the lake contribute to the excellent water quality. Elizabeth Kehl ran the farm with her five sons and two daughters while her husband often left in order to find work, notably in the shipyards of Wisconsin. Northport was the first town on the Leelanau Peninsula, says Will Thomas, 92, a present-day Northport descendant of the Kehls on his mother’s side. John Kehl was a veteran of the Civil War, one of several soldiers from Northport, and one of the few who survived. The Kehls moved from their homestead into the village of Northport in 1889. Will Thomas says his grandfather built several houses for the Kehl family. Many of the descendants of John and Elizabeth Kehl are married to people who still live in Northport. Many Native Americans from Michigan also fought and died in the Civil War. Payson Wolfe, a sharpshooter in the Civil War with an all-Indian company, also from Northport, survived. Wolfe was married to Mary Smith, the daughter of Reverend George Smith, the first missionary to Northport. In 1839 Smith established Waukazooville with a band of Ottawa from the Kalamazoo area; Waukazooville is now part of larger Northport. 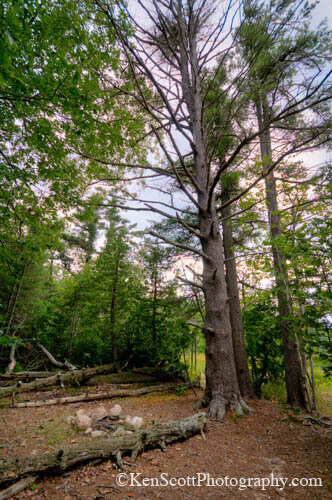 The Kehl Lake Natural Area was being eyed for a golf course or some other development when in 1990 a 100-acre portion was purchased by the Leelanau Conservancy with donations from several hundred local families and businesses. 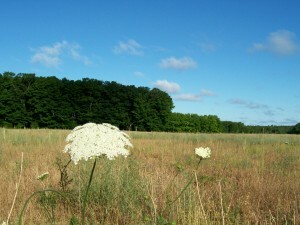 More acreage was added over the next few years until the current site of 279 acres was established. 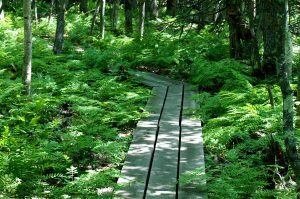 One of the best things about the Kehl Lake Natural Area is that it combines ease of access with the opportunity to see an abundant variety of rare birds and wildflowers. Like the vast and storied rooms of the Metropolitan Museum of Art on Fifth Avenue in Manhattan, you could visit every day for the rest of your life and see something new every time. Posted April, 2017. Great piece. A couple of additions: panfish, such as Blue Gill and Perch, also can be caught in Kehl Lake. Also, the outlet from Kehl Lake to Lake Michigan does still flow some years in the spring if the lake is high enough. It is on private property, approximately opposite the viewing platform. It can also be seen as a culvert under Kinnikinick Road. Two Trumpeter Swans have also recently been hanging out at the lake; beaver activity, however, seems to have ceased – they may have moved on over the winter. Thanks Rick! Glad you enjoyed it. Good to know about the additional fish–all the more reason to visit KLNA! 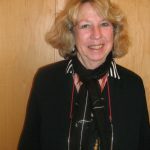 Kathleen Stocking did an amazing job in the writing of this article. I was captivated and intrigued with all of the historical information included in the piece. 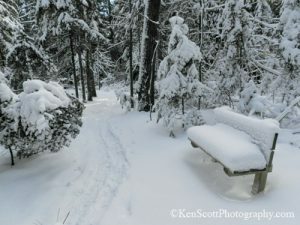 Kehl Lake Natural Area has now been added to my “bucket list”! Thanks LC for making this writing available to all those that love Leelanau. Wonderful history and description — I always learn something reading Kathleen stockings writing not just about the history and nature but also about the powers of observation and the art of great writing. Especially enjoyed the attention to the family histories. I actually saw a wolf face to face back in about 2007. Not a coyote it was much much larger. I still love walking around the lake but it’s sometimes hard to relax. Hoping I will not see a wolf 20 feet away again lol.